The screening was such a hit at the Almaty cinema that the audience broke into applause as the credits rolled. The poster for Death of Stalin, which has been banned in Russia and allowed a low-key release in Kazakhstan. The Death of Stalin may not be on general release in Kazakhstan, but one enterprising movie theater in Almaty has been showing the comedy to packed houses. Many expected Kazakhstan to follow the lead of Russia, where officials took umbrage at what they perceived to be the movie's insufficient reverence before the Soviet leader’s memory. The movie might not have got a general release in Kazakhstan, but there was also no outright ban. Almaty’s Arman cinema took advantage of the situation to show the movie to packed houses in two halls on February 1. There were plans to screen it again on February 2. The movie got a warm reception, with the audience laughing along at many scenes. Some of the more slapstick moments, such as the jostling for position at the funeral between the members of the Central Committee, were particular hits. The audience also cracked up at Georgy Malenkov’s corset jokes and tittered at the verbal sparring between Nikita Khrushchev and Lavrentiy Beria as the pair vied to step into Stalin’s shoes. “I found Beria quite funny – with his sly remarks about the other members of the committee,” Maria Dissenova, a moviegoer from Almaty, told Eurasianet. “I liked that they didn’t really try to make it authentic by faking Russian accents or finding Russian-looking actors." 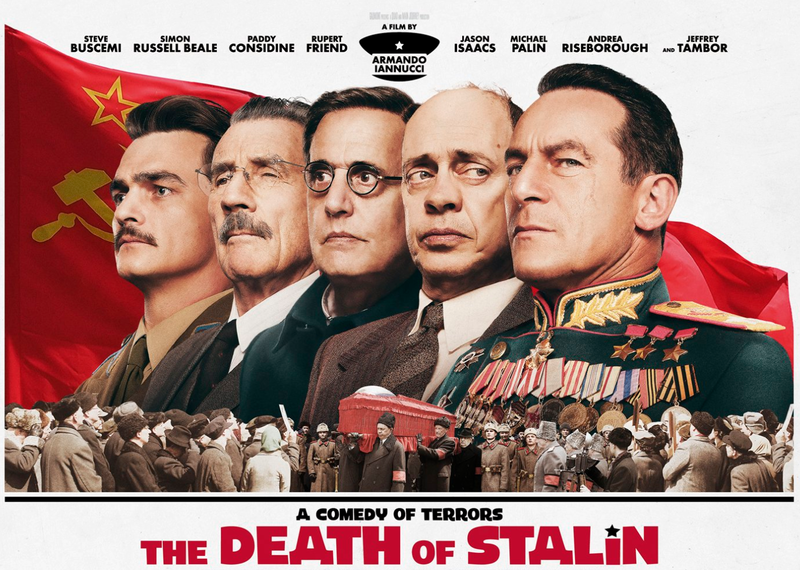 In Russia, the movie, which takes a satirical look at the aftermath of Stalin’s death, was banned by the Culture Ministry amid much huffing and puffing about the filmmakers' mockery of Russian history. One cinema that dared to screen it in Moscow stopped showing it after a police raid. In Almaty, the film went down so well that the audience broke into spontaneous applause as the credits rolled. News of the Almaty screenings sparked envious banter on Twitter from Moscow-based foreign correspondents desperate to have their own viewing.